Hi! I'm Dave Sieg. For the past 20 years I have tried to keep at least one working Scanimate computer running in my studio. 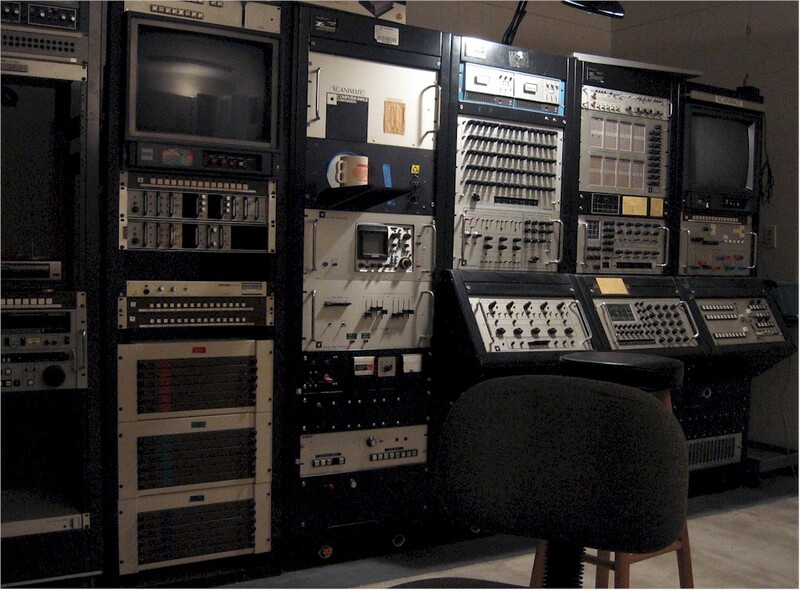 I've managed to put together a fully functional production suite based on vintage as well as state of the art video equipment, and Scanimate has been used in several recent productions as you'll see below. I am pleased to announce that we have secured funding to buy this place I have called home and my Scanimate studio for the past 7 years! It has been an exhausting process, but fortune has smiled upon us! Thank You to all who have donated and given encouragement and moral support that has made this possible! Keeping this important bit of history alive is not without its expenses, not the least of which is the electric bill and air conditioning to keep the equipment happy. In the near future I will be renovating this site and making it more interactive for visitors. I also plan to make some of my archival material available. If you would like to help support my work here, please make a small donation. I truly appreciate all the generous donations friends of Scanimate have made! "The future's so bright - I gotta wear shades!" 9/21/2017: ViceLand (Motherboard) has published the documentary they shot here in the Scanimate studio back in the spring. Thanks for all of your kind responses and for following my videos. I hope to have more up soon. Currently pre-occupied with getting the studio winterized (ripping out walls and jackhammering concrete!) while the weather is good so I may be a bit slow responding. Scanimate: The Origins of Computer Motion Graphics from Lynda.com on Vimeo. 4/26/2016: Crew here from Lynda.com shooting documentary about Scanimate with Dave Sieg and Roy Weinstock. 360 degree view of Scanimate in its analog universe taken by Nick Campbell with a Theta 360. 4/30/2014: Scanimate produced hi-def imagery for NBC's "Community" in the "GI Joe sequence." Everything red was a Scanimate element. Youtube won't let me post the piece for copyright reasons, even though I have permission, so I'll try to post it through another service. Recently, Chris Stack visited ZFx and we tinkered around with connecting control voltages from his Moog Little Phatty to the Scanimate. It was a fun session! We suffered from the Scanimate not being "zeroed out" after my last animation project, and from a lack of proper patch cords with 1/4" phone plugs on the Moog end and the oddball 0.09" analog patch cords Scanimate uses, but we managed to demonstrate some very interesting combinations of music that is synchronized with visuals that the two can produce. Of course we have great ideas about the next step, but I thought you might find this first experimental test interesting. Thanks Chris! Once upon a time (but not so long ago) making animation with computers was pretty farfetched futuristic wizardry. A few brave souls believed it was the future, and helped start what is today a major industry. This site celebrates the people, places, machines, and projects that came out of that colorful past. I welcome your inquiries, I try to answer them all. Email dave@zfx.com with your questions or comments. Scanimate Stars in High-Definition White Gold Rock Opera! Scanimate recently completed 3 days of shooting the "Vortex Scene" in a new Rock Opera for White Gold. Check out the trailer HERE. In the video above, Joe Mullen from Buck in LA talks about the experience of shooting 4K resolution footage with the RED Digital Cinema camera. More Pictures and info on my blog. 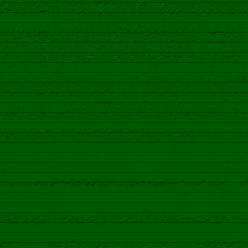 UPDATE: Buck has just updated their site with high-rez movies of the final composites. A couple of years ago, the overwhelming response to some of the sample movies I had put on this site motivated me to compile the Scanimate DVD-1 featuring some of the video demo reels I have collected over the years from Computer Image and Image West. But the demo reels only show the work. 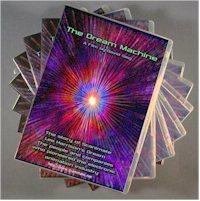 In the second DVD, "The Dream Machine", I've been fortunate enough to interview many of the people whose pioneering work with Scanimates broke ground for what is today a multi-billion dollar industry. I've been able to piece together the stories of people like Lee Harrison, who dreamed of a way to share what the mind's eye sees, and whose company, Computer Image built Scanimate, the first commercially successful electronic animation computers. For more detailed information on the contents of The Dream Machine, or to order your copy today, Click here. Dave Sieg and ZFx recently relocated to new headquarters in Asheville, NC. "We feel this will be an amazing fit with the community where Robert Moog did all his analog wizardry in the music world. What a great place for Scanimate to wind up!" Scanimate Gets a New Lease On Life! While in production for the new Scanimate DVD-2 I have been giving Scanimate some new capabilities, like a SGI Indy to truly provide "high-rez" artwork, and a CCD pickup camera. Click here for details! Due to overwhelming demand, DVD-1 has been re-released in a standard DVD case as DVD-1 First Edition. (This is the same material originally seen in DVD-1, just new packaging.) People all over the world are talking about the first Scanimate DVD! Two hours of classic '70's and '80's electronic animation produced by the "Dream Machine" and the companies that built and used Scanimate computers to pioneer the animated graphics we've all come to know and love on television and films. For more information or to order your copy today, Click Here. The History of Analog Computer Animation - from the SIGGRAPH 98 History Project. by David Sieg. Ed Tacjhman, former head of engineering at Computer Image sent me an amazing package of material, including early videos from Scanimate, Animac, CAESAR, and other goodies. Marilou Harrison and her son Paul have sent me some excellent photographs of Lee Harrison (Scanimate's inventor), Scanimates around the world, and Animac, (Scanimate's precursor). How Analog Animation Was Produced. Step-by-step description of how artwork was prepared, how waveforms were controlled, with a pictorial tour of Scanimate's components. 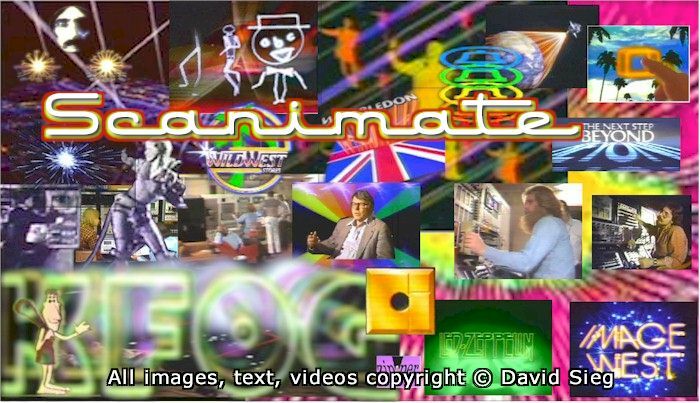 Over the years, a surprising number of people have been involved with Scanimate or one of the early computer animation companies. Some of the Alumni of Scanimate history are listed here. Dave Holman was so taken with this page he sent his memoirs. They were so good, I gave him his own section! Scanimate Alumni Guestbook. Yes, it really was that hard, yes, it really was that much fun! A collection of thumbnail Images from many past projects. Click the thumbnail for a larger image. Scanimate Videos from Various sources. Some odd little tidbits. Yes, we were and still are an odd bunch! OK, So What is a Scanimate? 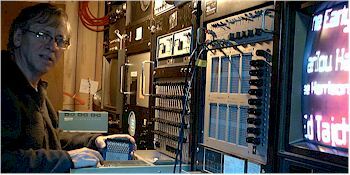 The Scanimate is an analog computer system that was built by the Computer Image Corporation of Denver, Colorado in the late sixites and early seventies. In all only eight machines were ever produced. It was used on many famous jobs over the years, and many of the people that were involved with its development, operation, and care and feeding have gone on to do significant things in a variety of places all over the world. 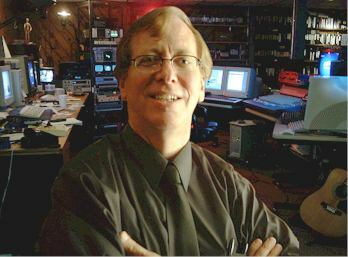 I first became involved with Scanimates in 1979 when I was a maintenance engineer at Image West, in Hollywood, California. I now own and maintain the last working Scanimate system, that I am aware of, a dubious honor that has brought me into contact with many of the people whose lives have been touched by these machines. This site represents the efforts of many individuals over many years. I am only trying to preserve a little piece of history, not take credit for it! Please help support this effort by buying the Scanimate DVD's. That is the only way I have to pay for this work. Your generous comments and support are greatly appreciated! Note: Due to SPAM-Bots, I have had to remove the guestbook addition feature. Old entries are still shown, but you can post new entries on My Blog.